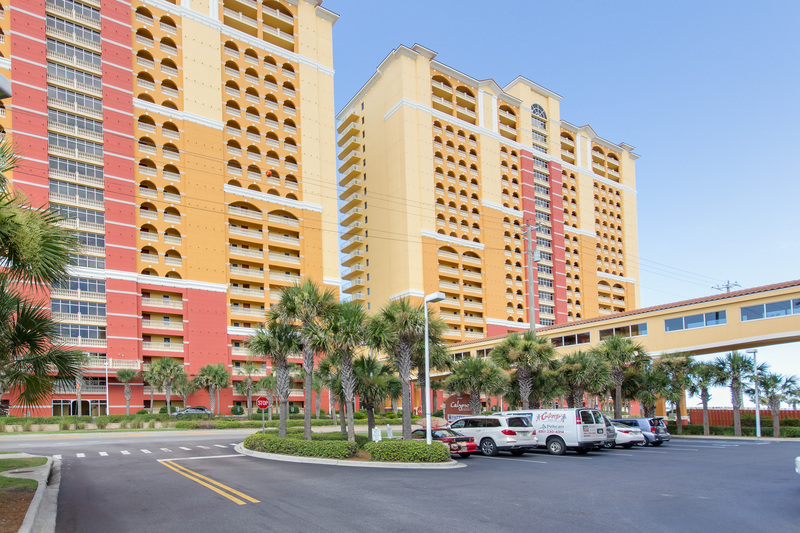 This breathtaking 2 bedroom, 2 bathroom condo is located on the 8th floor of the West Tower of the beautiful Calypso Resort. The neutral decor and open floor plan with stylish accents and sliding glass doors offer a feeling of sophistication. There is plenty of living space with comfortable seating, a fully equipped kitchen, and spacious dining areas. The private wrap around balcony in this corner unit is Gulf front. Sunrises and sunsets viewed from this balcony are unforgettable! This luxurious home away from home will accommodate a total of 6 guests. • Spacious master bathroom with 2 sinks, a spacious garden tub and walk in shower. • Second bedroom with queen sized bed, a television, and secluded entrance to the second full bathroom. 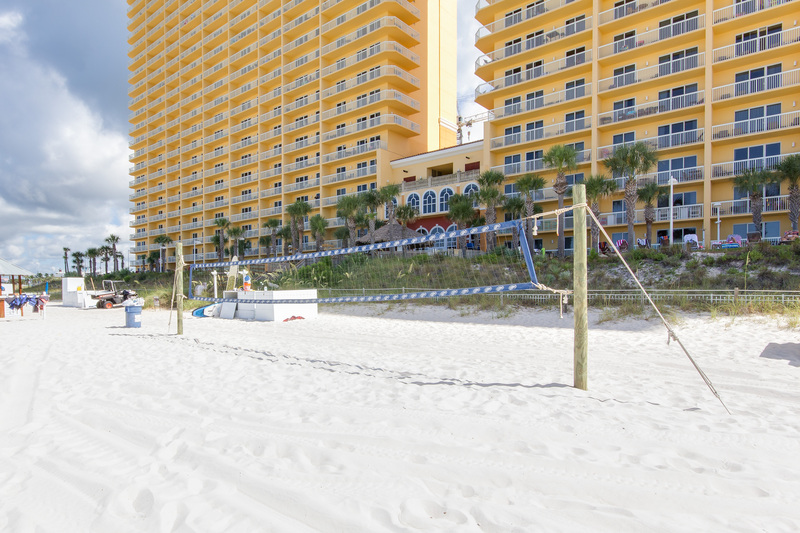 Located on the western side of Panama City Beach, Calypso Resort and Towers is one of the finest resorts to be found! This beautiful property brings the relaxed, island feel of the Caribbean to the Emerald Coast with the best of resort luxury and style. There is plenty of private beach available or you may enjoy fishing on the Russell-Fields Pier. The location is incredibly convenient, with close proximity to Pier Park and Frank Brown Park & Sports Complex and more. 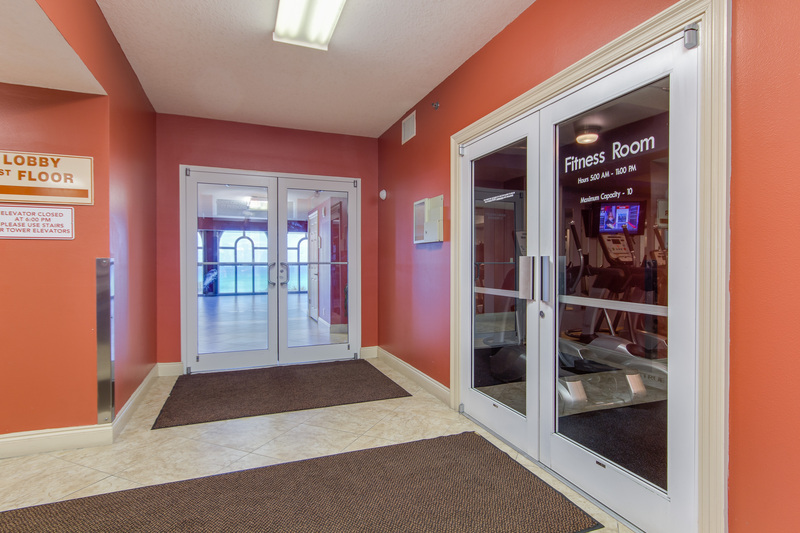 Calypso Resorts offer impressive list of on-site amenities with two pools, a fitness center and more! You are sure to love this place and we guarantee plenty of fun. I rented this condo so my sister, 87yr old mother and 99yr old dad from South Carolina, could come for a short visit and enjoy a wonderful family thanksgiving together. It was close to shopping and anything they could want. The unit and view are fantastic. Would absolutely recommend this unit and Book That Condo to everyone of my family and friends. Thank you for sharign your review, we are so happy you enjoyed your stay! The Condo itself was fantastic, very clean and comfortable! The only recommendation for the room might be a Keurig instead of a pot, but that's just personal preference for convenience. The beach rental service was great!A few unique intricacies about the property that I didn't care for: no hot tub, very sad; the tiki bar was great and a nice feature, but drinks were not allowed near the pool, in fact the security guards were quite rude about even without any signage stating it was prohibited, not even a plastic bottle of water, seems a bit extreme; recommend better arrival instructions on how to enter the property and subsequently the building itself; quite the maze. Thank you for taking the time to share this review, we are very happy to read that you enjoyed Calypso 801! We appreciate your feedback regarding the coffee maker, we are always looking for ways to improve our guests experiences. We also appreciate your feedback about the resort itself, we will do our best to pass this feedback on in an effort to help future guests. 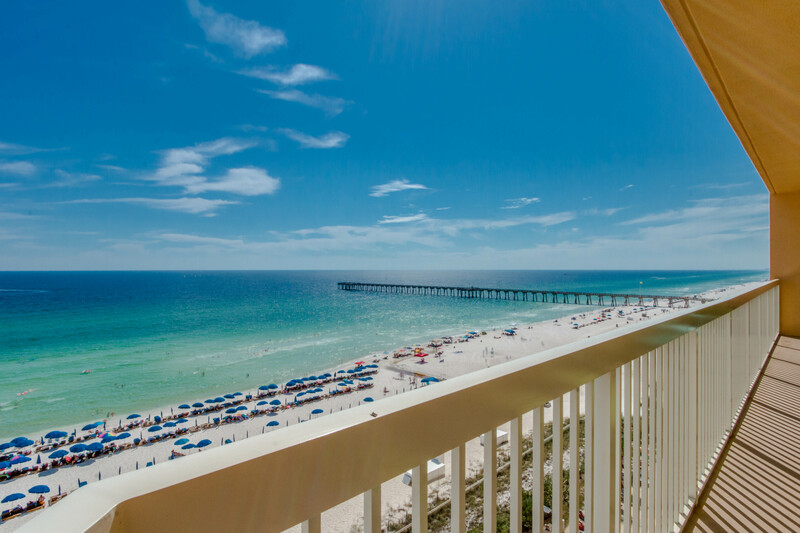 We would like to welcome you to give us a call when you are ready to book your next vacation in Panama City Beach, it would be our pleasure to welcome you back! Condo was very nice, well decorated and clean. Washer needed some work done it. Dryer worked great. Building was kept very nice and clean by bar and pool area. Our only real complaint was that we waited about 35 minutes to get an Elevator the day of checkout with all of our suitcases and souvenirs. We were not the only ones. Over all we would Definitely rebook this condo. The unit was beautiful and the view was priceless. We Parasailed and rode jet skis right there on the beach adjacent to the condo. Close to everything, no need to get the car out of parking. Great location-Great vacation. Property management was great to work with also which was a real plus. Thank you for taking the time to share your review with Book That Condo! 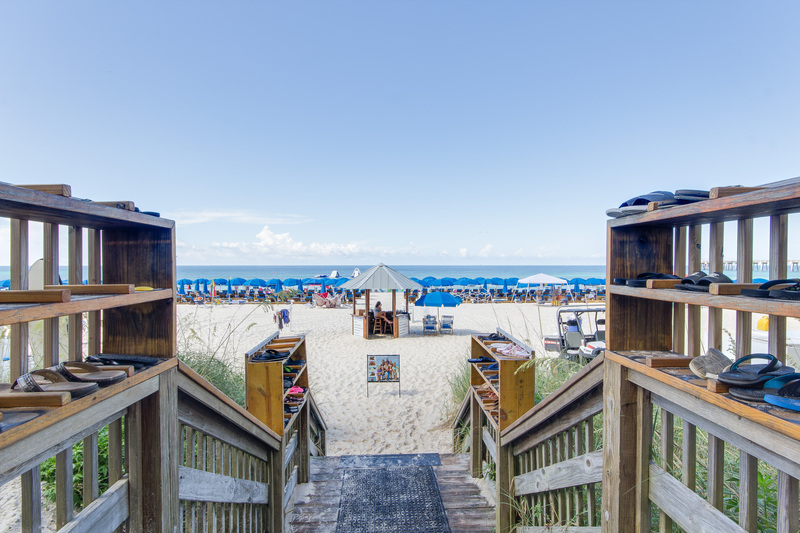 We are so happy to read that you enjoyed parasailing and riding Jet skis at the beach! Calypso is located in a very popular location. We apologize that the elevators were delayed on your day of departure. This is not a common issue for this resort, we will look into this further. We hope that you give us a call when you are planning your return to the Gulf! Overall stay was a good experience but my main complaint would be the master bedroom mattress has to be the worst mattress I’ve ever slept on. It was hard as concrete. I would highly suggest spending a little money for a mattress topper or just by a new one. Thank you for sharing your review, we are so happy to read that your overall stay at the Calypso resort was enjoyable! We appreciate your feedback regarding the mattress in the master bedroom, we will look into making this better for future reservations. 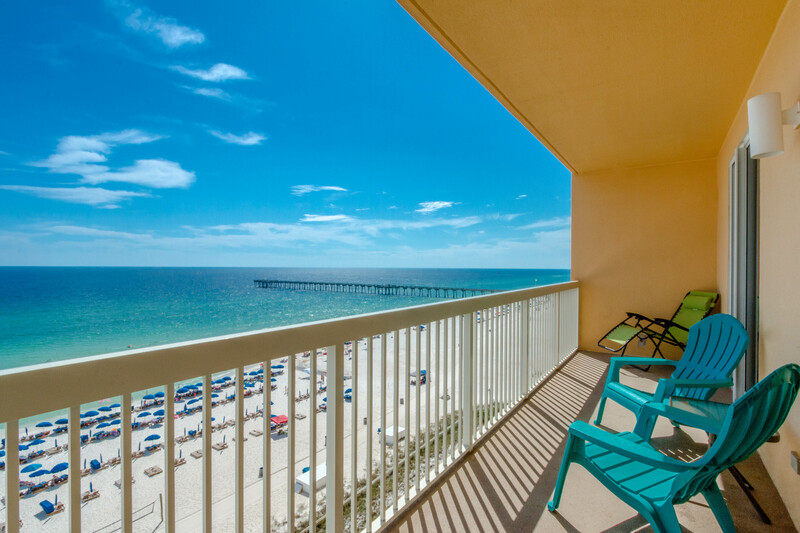 Give us a call when you are ready to plan your return visit to the Gulf, we would love to welcome you back! I love the location of Calypso ! You can easily walk to any attraction . Thank you so much for sharing this review from your stay at the Calypso resort. We also love how this condo is conveniently located to shopping and dining. 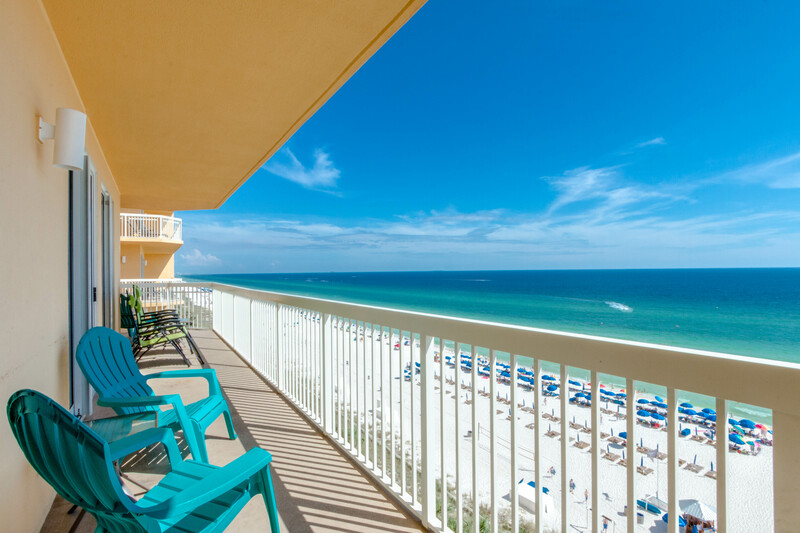 Please call our office when you plan your return to the Emerald Coast. Thank you again for your business and for sharing your experience. We hope to see you soon! The pictures dont do this place justice. We had a wonderful time here. The views were spectacular. 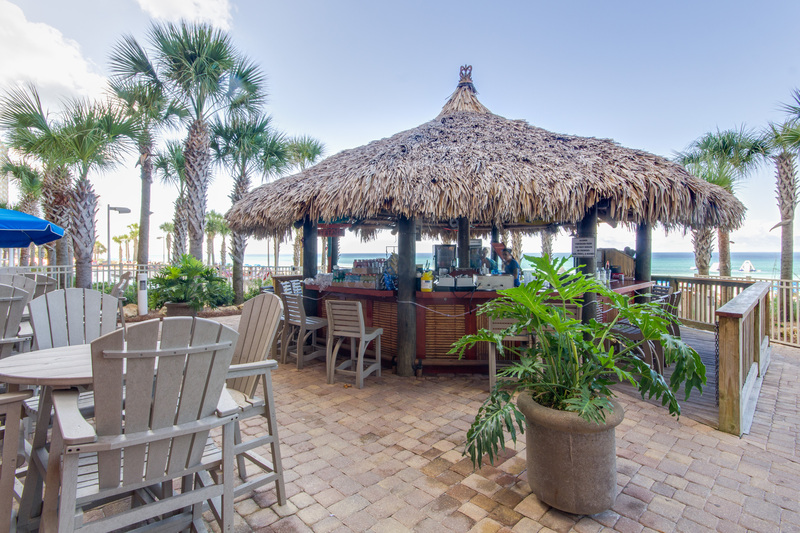 The only issue was the construction on the tiki bar. The property management should have informed us that it was happening. The drilling hammering was a little annoying when on vacation. We are so thrilled that you enjoyed your stay at our luxury unit at the Calypso Resort. We are dissappointed to read that you were un happy duiring your visit due to construction. We can promise you the best communication will be executed in the future. Please call our office when you plan your return to the world's most beautiful beaches. Clean, comfortable furnishings, and nice décor (and not over decorated!). Ceiling fans were nice to use on those warmer days. 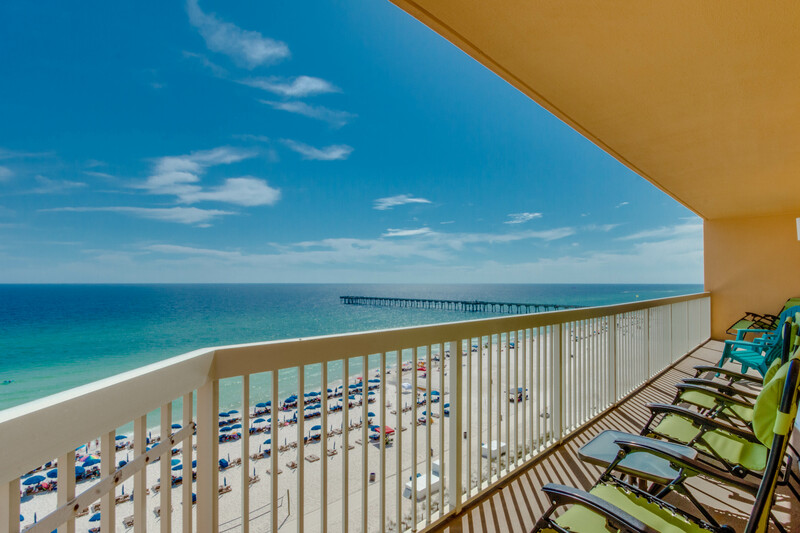 8th floor perfect for viewing the beach/gulf and is easy enough to take the stairs. Internet speeds were good. I'll try and stay at this condo again next time we come to PCB. Only negative is that cable is standard definition, not HD (although the TV's are HD). Thank you for taking the time to write a review from your stay with Book That Condo at the Calypso resort. We were thrilled to read that you found your condo to be comfortable and decorated to your liking. We are excited to welcome you back next year! Give us a call when you begin planning your visit. Beautiful and breathtaking views. Condo was beautifully decorated. Furniture very nice and up to date. The only single complaint I would have is the washer and dryer really need to be replaced. They have seen better days. 😊 This was our 4th visit to Calypso. And we would recommend this condo and area in general. Perfect for walking to shops and restaurants. Thank you so much for taking the time to share your experience, we are very happy to read that you enjoyed the breathtaking views from the 8th floor of the Calypso Resort. We appreciate your feedback on aspects of the room that need updating, we will look into this further as we strive to improvoe with each and every stay. 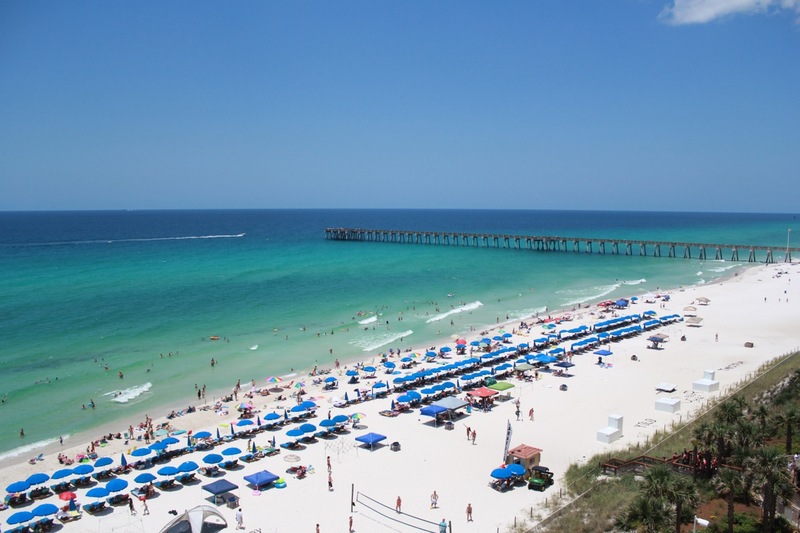 Please call our office when you plan your return to the Emerald Coast. We would love to offer you a special discount for returning as our guest. Thank you again for your business and for sharing your experience. We hope to see you soon! The condo was absolutely perfect. The only negative thing I can say about the condo were the beds. They were very uncomfortable and I had to sleep on the couch 2 nights. Other than that, we loved the condo. Thank you so much for taking the time to share your experience with Book That Condo. I'm so glad you enjoyed your stay at the Calypso Resort! I will share your wonderful feedback with our team and the aspects of the room that need updating. Please give our office a call when you are ready to plan your next visit! We would love to offer you a special discount for returning as our guest. Had a great time !! Condo Wes's clean and well kept, location was GREAT!! we parked our car and did not have to move it again. Walked to Pear Park for dinner and shopping. We will definitely be booking here again!! Thank you so much for taking the time to share your experience with Book That Condo. I'm so glad you enjoyed your stay at the Calypso Resort! I will share your wonderful feedback with our team and know it will put a smile on their faces. Please give our office a call when you are ready to plan your next visit! We would love to offer you a special discount for returning as our guest. We had a great time! Calypso is nice. However, the only downside is the gym. The gym is dark and confining. They should relocate the gym in the area with the windows facing the beach. If they did that, Calypso would be hard to beat. Thank you so much for taking the time to review your reservation with Book That Condo. I'm so glad you enjoyed your stay at the Calypso Resort! I will make sure the property group gets your feedback on the location of the gym. 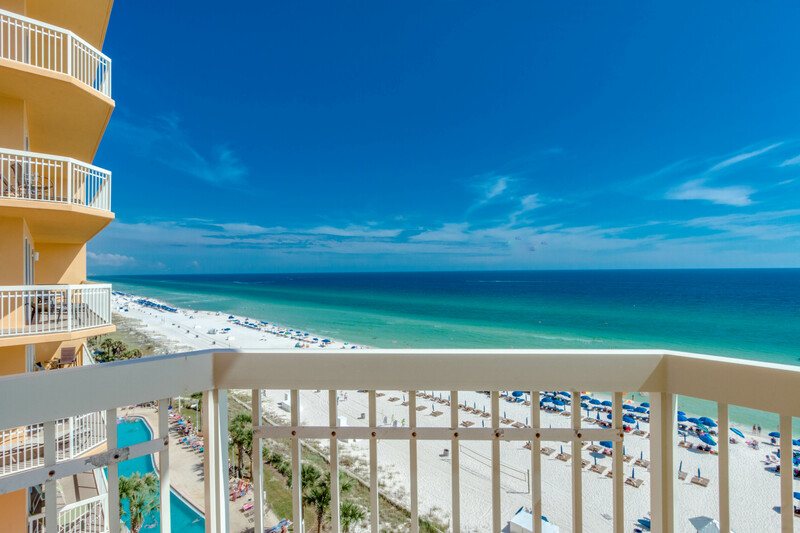 Please call our office when you plan your return to the Emerald Coast. We would love to offer you a special discount for returning as our guest. Thank you again for your business and for sharing your experience. We hope to see you soon! This was our second time to stay in this condo. I love the shower in the master suite. Also, there is a very long balcony since its a corner condo. There are not any bath towels, but luckily I had packed an extra beach towel to use. My only complaint is the uncomfortable beds. The matrices are old. Other than that, I would highly recommend this condo. It is also very reasonable. Thank you so much for taking the time to review your reservation with Book That Condo. I'm so glad you enjoyed your stay at the Calypso Beach Resort, we are so glad you are a returning guest! The Mattresses in this condo were recently purchased in 2016, they do happen to be extra firm which can be uncomfortable to some people. We apologize and understand the inconvenience this must have caused. 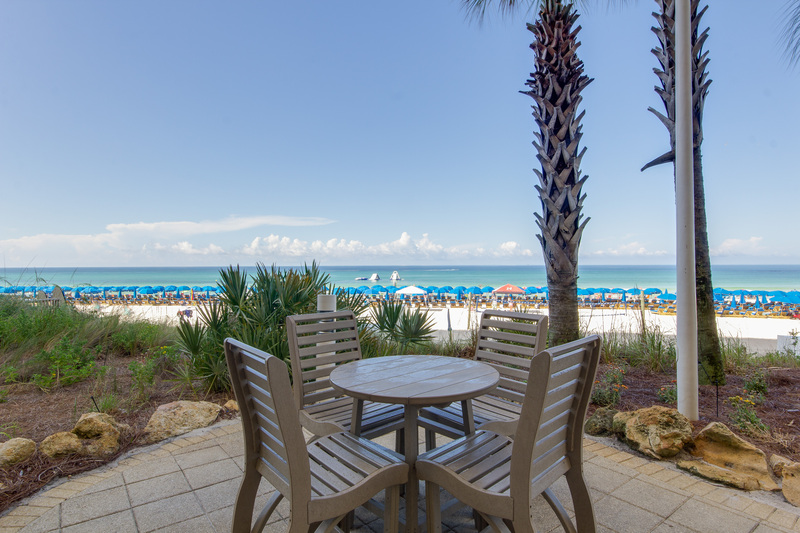 Please call our office when you plan your return to the Emerald Coast. We would love to offer you a special discount for returning as our guest. Thank you again for your business and for sharing your experience. We hope to see you soon! The room was clean. Basic supplies were available. Washer/dryer/iron available which was convient. Balcony was nice. Thank you so much for taking the time to review your reservation with Book That Condo. I'm so glad you enjoyed your stay at the Calypso Beach Resort! Please call our office when you plan your return to the Emerald Coast. We would love to offer you a special discount for returning as our guest. Thank you again for your business and for sharing your experience. We hope to see you soon! I loved the condo,it was clean and updated. It was convenient to shopping and restaurants. The view was spectacular. We loved it so much we booked it for next year and put down a deposit. A couple days later we got a call from Book That Condo and they told me the owner had raised the rate. He wanted $900.00 more for the month. We did not have a signed contract but we did give them a deposit, most times that would be enough. I guess he cares more about money than his renters. We were very disappointed that someone would do that. Thank you so much for taking the time to share your experience with Book That Condo. I am so happy to read that you enjoyed your stay at the Calypso Resort, and that we were able to provide an affordable vacation for you in 2017. However, our pricing is comparable to similar condos in the area and we feel we provide good value given the central location, updated condo, and spectacular view. We regret that this was not your impression and offer our apologies. We are committed to offering the in best customer care while providing a well-maintained and comfortable atmosphere for all of our guests. I do hope that you will let us know when you plan your return to the Emerald Coast! It was good but the condo could be so much more. At least have 4 chairs on the deck like in the picture, not three even though there was a lounge chair around the corner. Also, the whole hallway to the kitchen needs painted badly bit still nothing that interfered with our experience. Everything was clean and nicely decorated. The condo was very spacious and had a huge balcony. I would definitely stay here again. Location is the best on the beach by far. Layout of the condo was excellent. View from the balcony was superb.